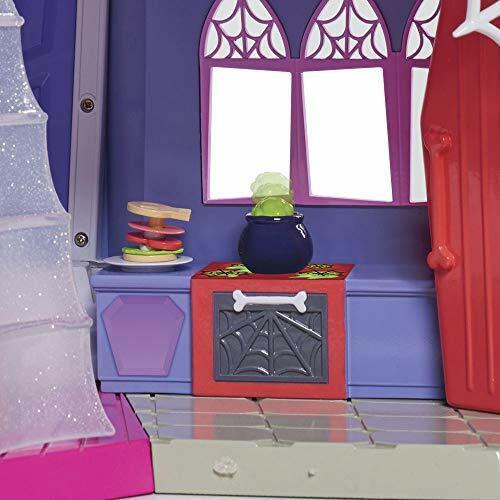 Playset looks just like the Scare B&B from the show. 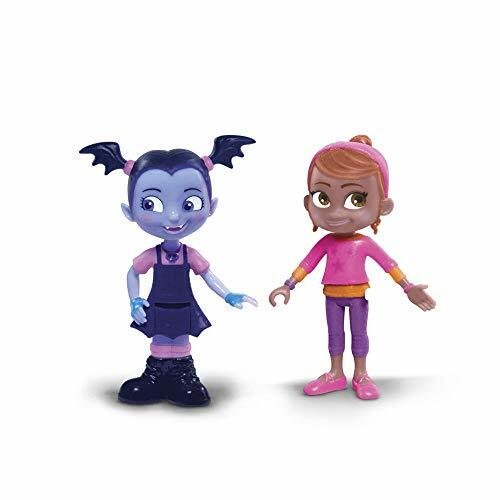 Set includes one 3.5" Ghoul Glow Vampirina figure and Poppy figure. 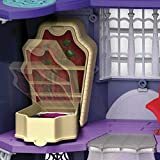 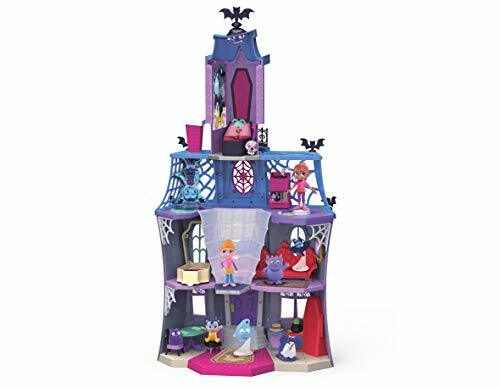 Inspired by the new Disney Junior series, Vampirina, the 'Scare B and B' playset is three floors of spook-tacular fun!áFrom the secret reveal telescoping bedroom tower with magically growing portraits, to the bookcase that transforms into a guest day bed, there's always something special brewing at Vampirina's house! 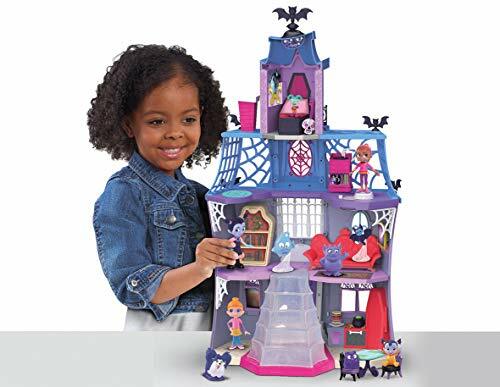 Magically rising food in the kitchen, a record player that moves and shakes when Vampirina dances and a 360 degree spinning TV in the living room are just some of the spook-tacular surprises that await you on each floor. 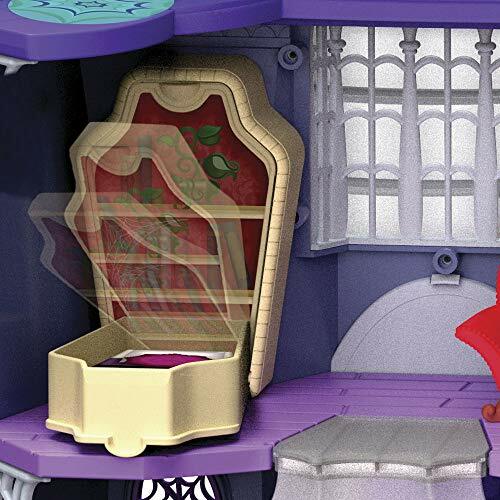 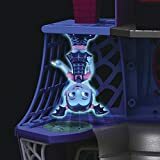 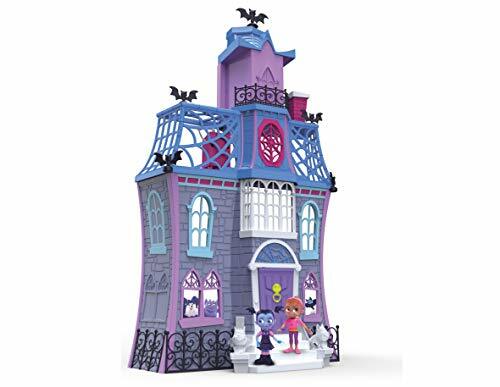 Place Vampirina on 6 special spots located on each floor throughout her house and watch her glow! She can even hang upside down when she's feeling a little batty! 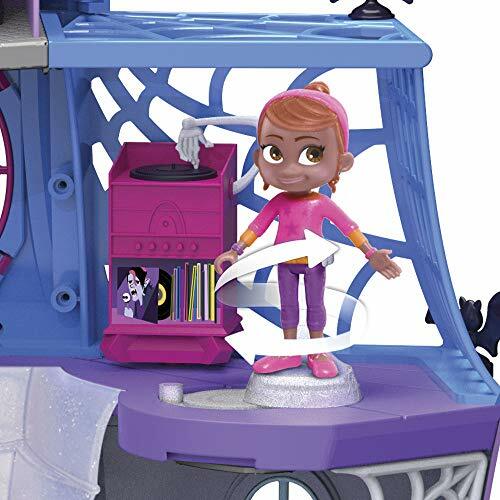 Her BFF Poppy is included, allowing little ones to play out the stories and silly adventures right from the show!